Best Marriage Astrologer in Delhi is the astrology where we can guide a person about the problems he can face so that he can take precautions before he/she gets into that trap. We all know a lot of people face problems after they get married. To find the solution to this problem they try different methods to get rid of it. Married couples generally face Problems in their relations. Astrology can help them in this matter after they correctly predict it and after that have a solution to this problem. The solution is not giving remedies to the person who is affected by this problem. We can guide them in different ways using Advance Vedic Astrology. 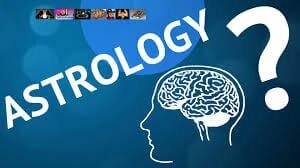 We are in the 21st century where advanced astrology is in place, where Birth Time Rectification and then casting the Unique Horoscope of the person can give us a correct & precise prediction and idea about what kind of problems he/she can or will face. Accordingly, we can look for a partner who is not affected by the same problem which appears in the prediction of the native. Take a case of a person in who’s Unique Horoscope we predict that divorce is promised. So to counter this we should look for his/her partner in whose Unique Horoscope divorce is not promised. This can only be done only after casting Unique Horoscope of both the partners and look for compatibility on physical and mental grounds. Similarly, the same method can be adopted on other issues. One thing I would like to tell you that this is not possible in gun Milan method. Why I am saying so because in gun Milan 311 boys horoscope is matched with 311 girl horoscope. So, in that case, we are not in a position to predict it properly. To know more Click Here go to our Kundli Milan Page.